Virgil Abloh made history when he became Louis Vuitton’s first African-American artistic director. Now, he's making sure he leaves his mark. While traditional campaigns are cool, Virgil - Off-White founder & longtime creative director for Kanye West - decided to go outside the box for his first Louis Vuitton campaign, continuing to introduce new ideas that open up new boundaries in the luxury fashion industry. 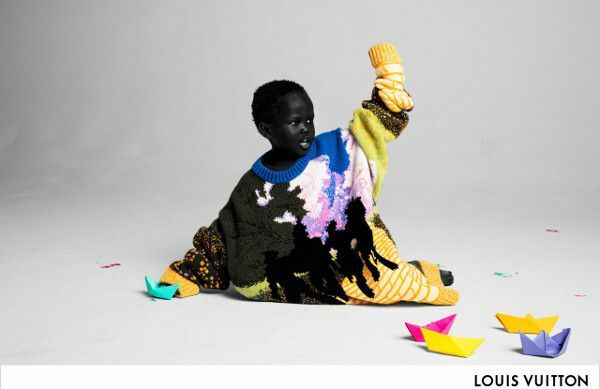 For his first advertising campaign, he meshes his fashion designs, art, and boyhood in a three-part digital collection that introduces new talents, including 3-year-old Alieyth, 7-year-old Leo James Davis, and 16-year-old Luke Prael. It was shot by famed photographers Inez & Vinoodh. He also collaborated with multimedia artist Mohamed Bourouissa and Dutch photographer Raimond Wouda for the spot. Rather than focusing on the actual products, the campaign illustrates the values of his debut SS19 collection, which was shown during Paris Fashion Week. He said he wanted to focus on what makes a man and follow through artistically from boyhood to manhood. The first batch of images, and accompanying video, by Inez & Vinoodh, focus on the pre-teen and teen stages of boyhood. “I’m not content with just designing clothes. I am more enamored with providing a premise of why my designs exist. Today it’s the context that is the punctuation on the object,” Virgil explained to WWD. “With the campaign, I wanted to make something that is universal and human at the core. Inclusive and dense, something that has gravity. So I decided I was going to focus the campaign on boyhood, not men’s wear. What makes men? The different stages in one’s life, from infancy all the way through teenager, adolescent, young adult to adult,” he added. Part 2 will pay homage to French artist Gustave Courbet, which will feature models, rappers, and other industry insiders. It's set to drop February 1st. 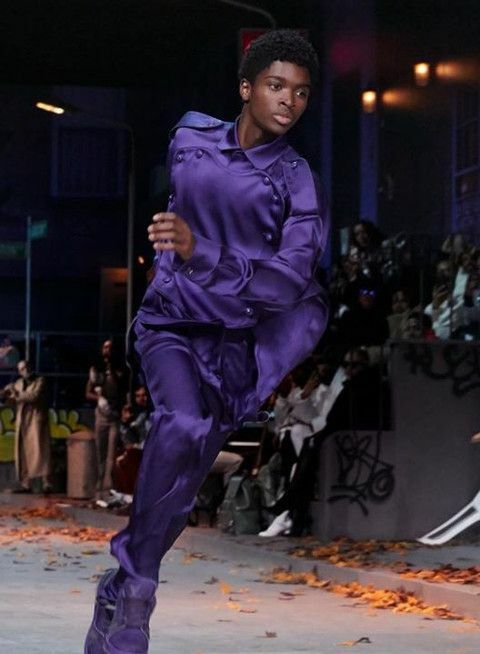 The third digital push will feature students dressed in colorful T-shirts that Virgil handed out to guests at his debut show. It drops March 22nd. When the YBF designer put his newest threads on display, he made sure it was a show. The set design was BOMB, the models ripped the inclusive runway with back flips (thanks to Alton Mason) and dance moves, fashion icons like Naomi Campbell was in the audience and overall, it was melaninated AF.